Vampires are one of the most enduring types of fictional monster, from folklore to 18th century poetry and 19th century novels like Bram Stoker's Dracula to modern fiction like Twilight and the Sookie Stackhouse series. They vary a lot in themes and tone, with some being scary and others more romantic or funny. Which is your favourite vampire story and why? I have not yet read a better vampire story than Tim Powers' 'The Stress of Her Regard', and I doubt I ever will. It ties vampires into the lives of the Romantic poets in a seamless fashion and doesn't have a single wasted detail. It also has the most innovative take on just what vampires are that I've seen in a novel. That said, I'm also currently enjoying 'Dracula Unredacted', by Ken Hite and Gareth Ryder-Hanrahan, because it's pure geeky fun. 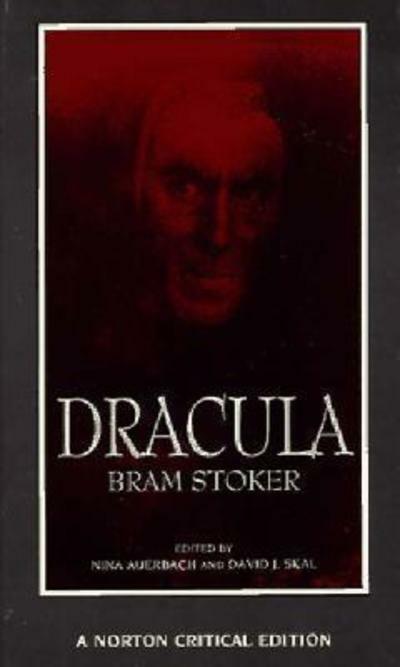 The authors have re-imagined Stoker's novel as an after-action report written after the botched attempt to recruit Dracula by British naval intelligence in 1894. Not only that, but they've added in margin notes from subsequent generations of MI6, tying Dracula to a coup in Romania in 1940, a mole-hunt in London in 1977 and present-day operations against Al-Qaeda. Like I said: pure geeky fun. It's hard to pick one. I really loved Poppy Z. Brite's Lost Souls, but I read it as a teenager so I wonder if I would like as much if I reread it now. The best one I've read in the past few years was John Allen Lindqvist's Let the Right One in. It's really quite scary and disturbing and acts as kind of an antidote to all the lighter stuff that was around at the time (Twilight etc.). Also I adored Alexis Hall's Kate Kane books which poke fun at Twilight among other things, but they're more detective stories than horror. Fantastic TV BBC series.....Idris Elba, Corin Redgrave, Phillip Quast, Caroline Harker star. I may sound a little crazy, but I actually really really loved Twilight. HATED the movies, but devoured the books. I have to agree with Jennifer. One of the best I've read was Let The Right One In by John Allen Lindqvist- the Swedish film adaptation was equally creepy/disturbing! For 'lighthearted' vampire fun, I really enjoyed Richelle Mead's teenage series Vampire Academy, and its subsequent spinoff series. It was better than many of the other teenage vampire series options out there! Absolutely LOVE J.R. Ward's series 'The Black Dagger Brotherhood'. Great take on the theme - once you start reading those, you'll be hooked! Also really enjoyed the 'True Blood' books. Didn't mind the TV series, but preferred the books. Also like Faith Hunter and Keri Arthur too. My favourite TV series is 'Moonlight'. I like their take on it. But the best of the best has to be Anne Rice. NOBODY does it better than her. Her Vampire Chronicles were what got me into this genre in the first place. Very hard to put down once you've started reading them. Highly recommended. Who are the best and worst mothers in fiction?